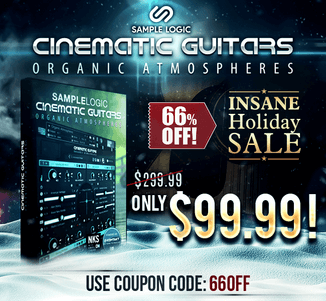 8Dio Productions has launched its 4th Anniversary Sale, offering 35% off on all its sample libraries and bundles. It is four years ago that 8Dio Productions was born. We started with a little over 40 products and today our catalogue expands over 140 products! 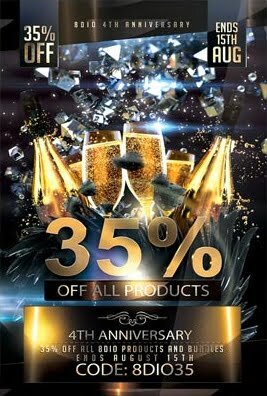 We want to celebrate this anniversary with you by offering you 35% OFF Any/All 8Dio Products and Bundles. So jump in and expand your template with one the largest sample catalogues in the world – counting over 140 Virtual Instruments in all major categories of music. 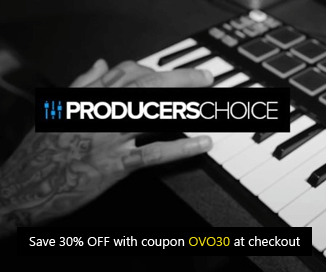 So whether you need the most widespread epic drums in the industry – the best epic choirs or most expressive orchestral instruments – the new standard in cinematic sound design or alternative scoring tools – gorgeous solo voices or piano ensembles – deep-sampled drum kits or insanely deep-sampled pianos – we have it all and we want you to have it too. Use coupon code 8DIO35 at checkout. The sale ends August 15th, 2015.